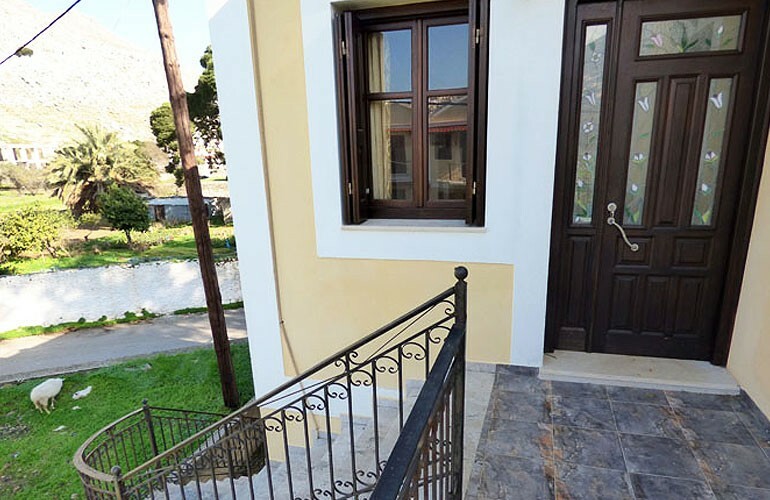 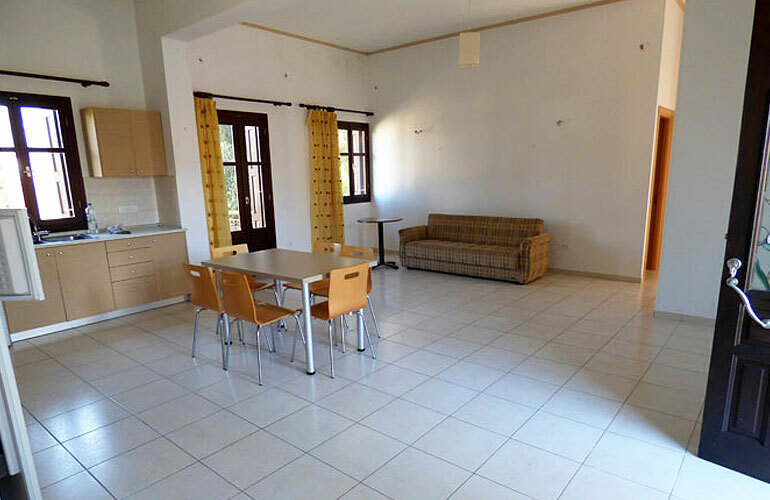 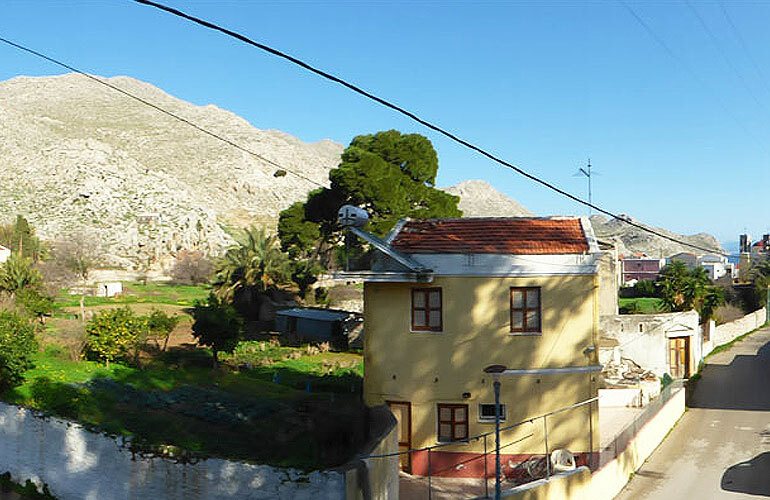 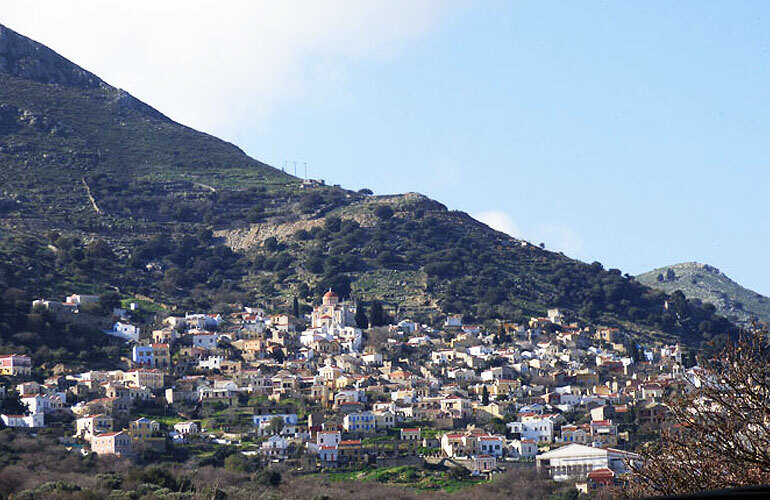 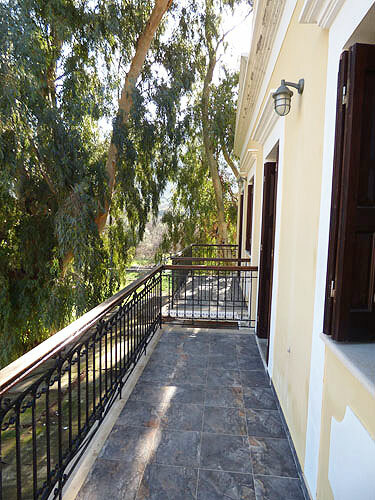 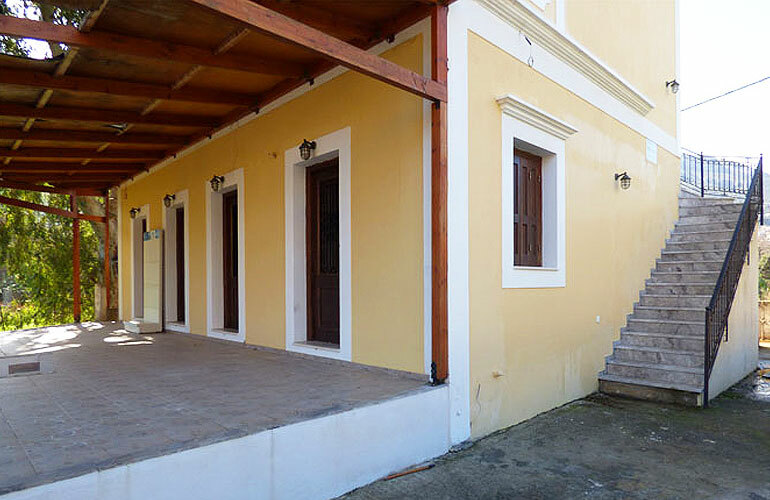 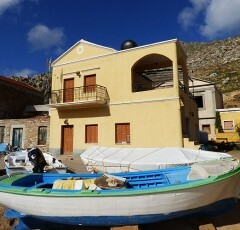 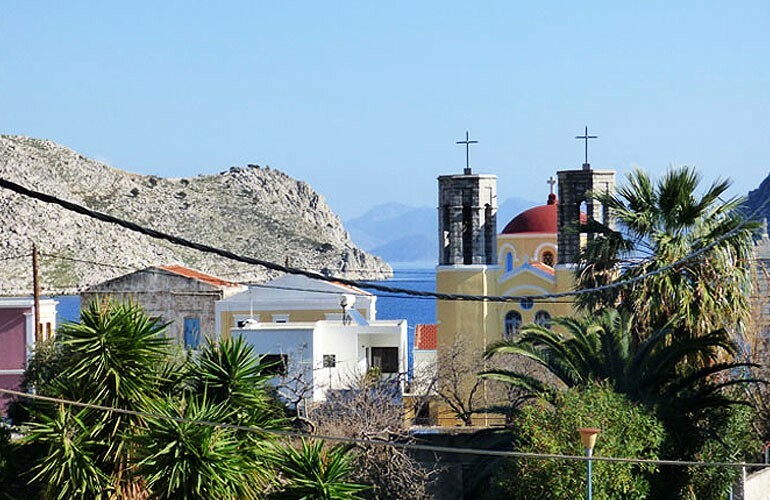 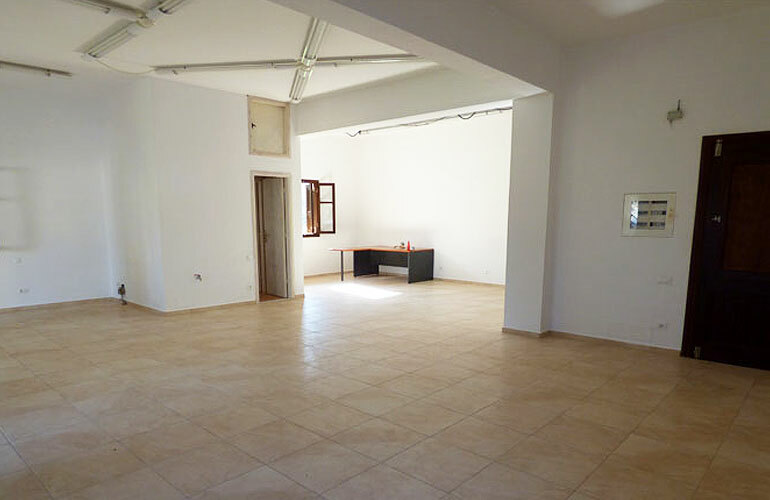 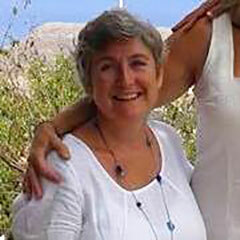 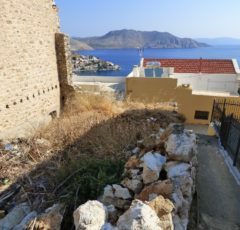 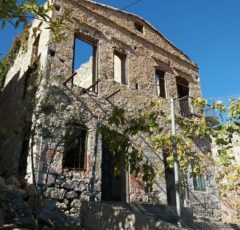 Ilias’ House – The Symi Estate Agent. 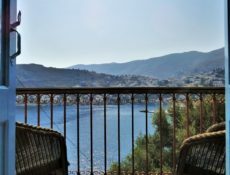 This property is ideal for those of you who might be thinking of having a home and a business on this lovely island! 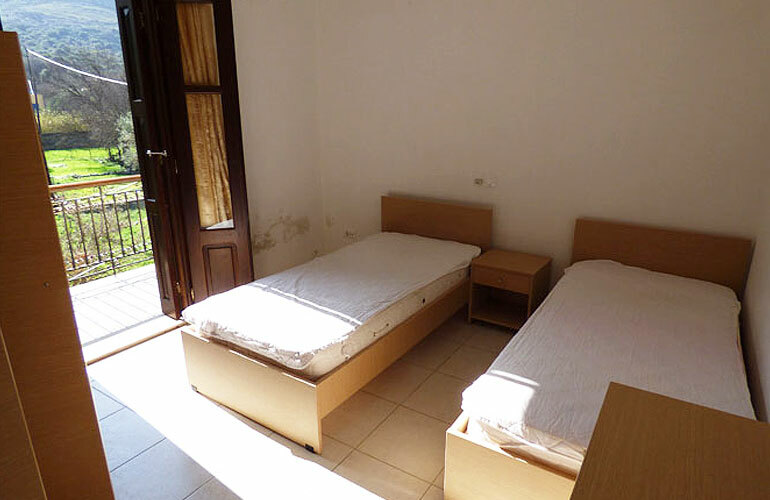 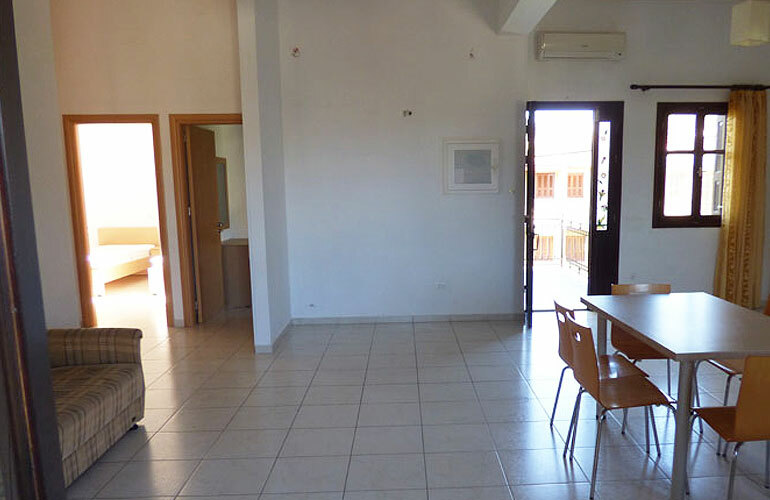 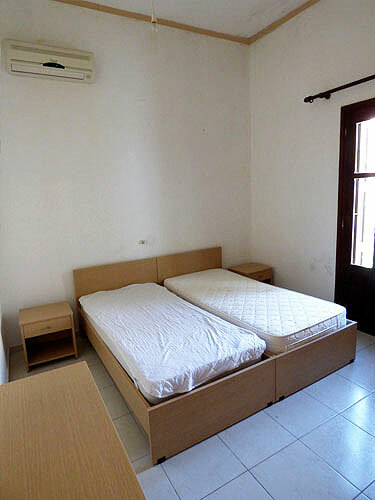 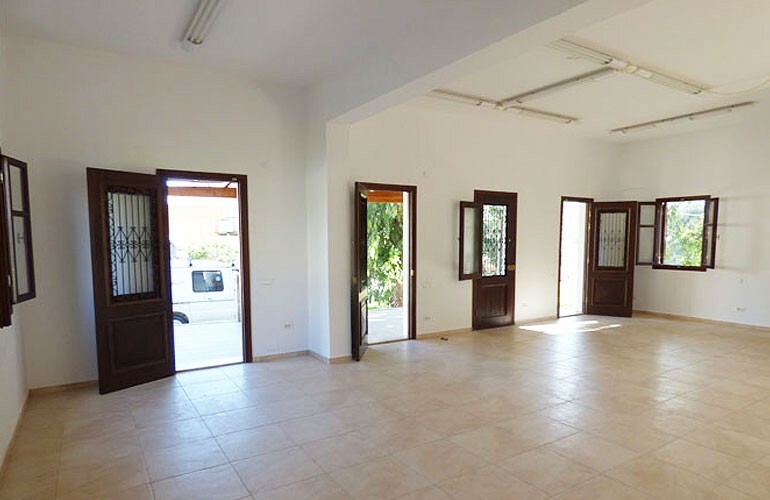 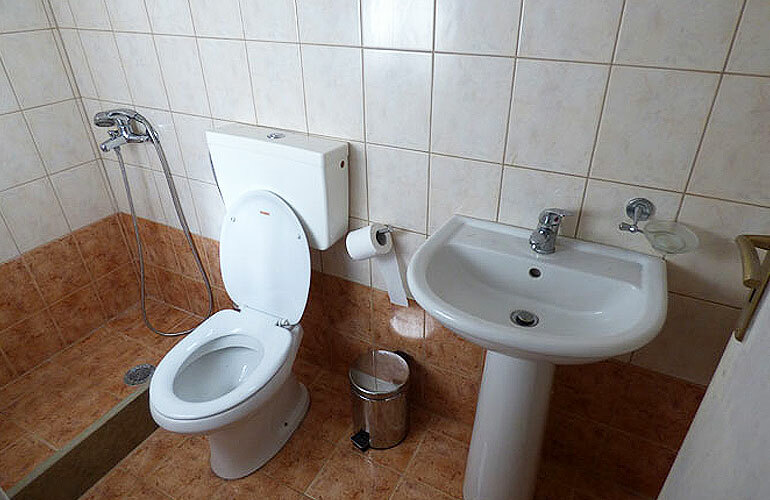 It consists of a three bedroomed modern apartment upstairs and a large shop space with huge basement for a business downstairs. 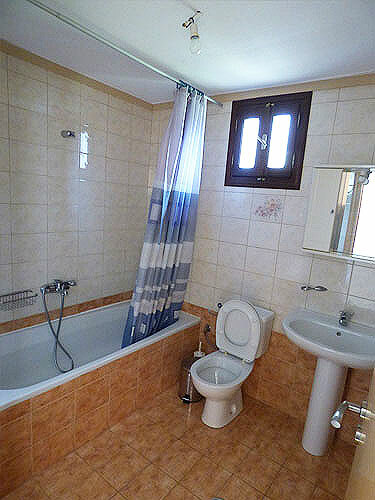 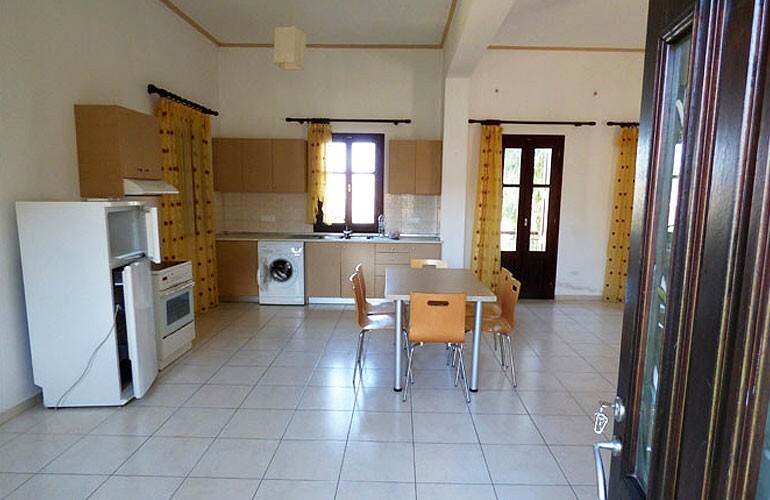 It has views of Pedi and the sea, is a 3 minute walk from the beach and is on the main road so has easy access. 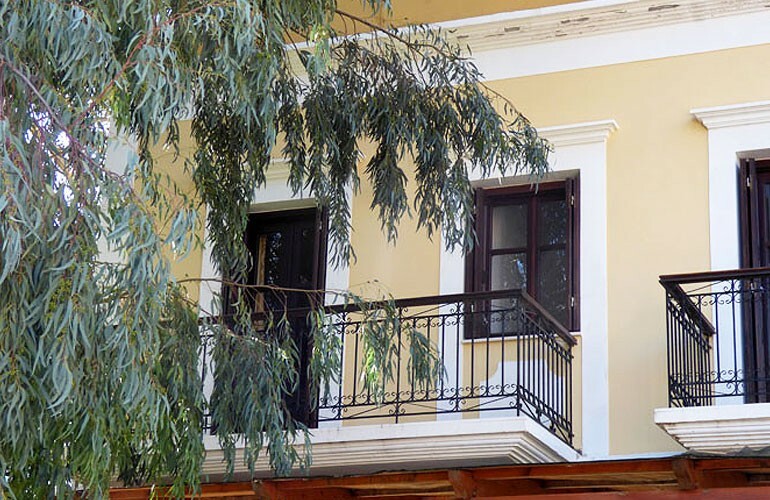 The apartment has 3 balconies so one can sit outside and take in the view while being shaded by the huge Eucalyptus tree. 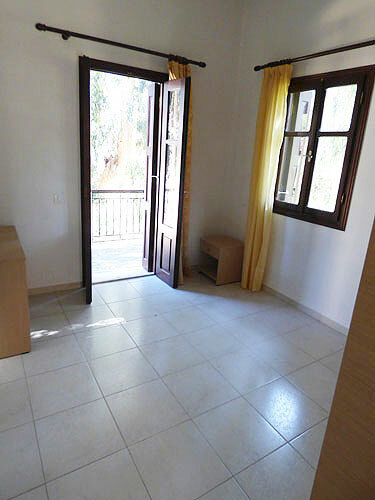 Brand new, modern, ready to move in home, with easy access to the beach. 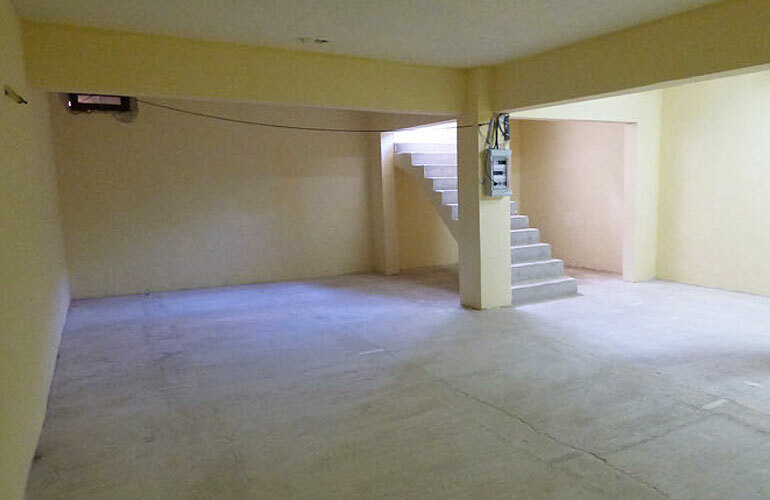 This property coud either be a very large residential house, or an apartment and business.